It is important to point out that the Verge 9304 IP phone has limited Verge mobility features, and requires the soon-to-be-released Allworx System Software 8.4. 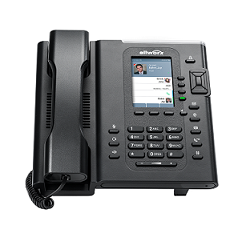 Expected to be generally available for shipment in June, the Verge 9304 IP phone is estimated to have an MSRP of $239. For more information on the Verge lineup of Allworx VoIP phones, read the Verge product brochure. To learn more about how OMNIA can help you and your business, contact us today! http://www.omniatech.com/wp-content/uploads/2016/01/Tab-Icon.jpg 512 512 Travis Marsh http://www.omniatech.com/wp-content/uploads/2016/01/Main-OMNIA-Logo-300x78.jpg Travis Marsh2018-03-15 17:40:562018-04-27 17:46:35New Allworx Verge 9304! © 2018 OMNIA Technologies, Inc. All Rights Reserved.